At Absolute Pest Control, we believe strongly in giving back to our community. We participate in several fundraisers and donate to St. Jude’s. Recently with met with part of the Filorimo family. Taylor Filorimo’s story touched us. We would like to share part of her story with you and ask that you visit the website here and Facebook page here. July 31, 2009 Tay was in Illinois for the ASA Softball Nationals. This was the last time Tay played softball, but she played a much bigger game since that day. In early August of 2009 Taylor Filorimo was diagnosed with a rare form of renal cell carcinoma (RCC). On August 4th, 2009 (the reason the number 4 is a part of PRAY 4 TAY), Tay had her very first surgery where they removed three tumors and 5% of her right lung. After numerous tries with different clinical trials and chemotherapy treatments, on Dec.29th, 2011 her scans showed the cancer had spread back into the right lung. 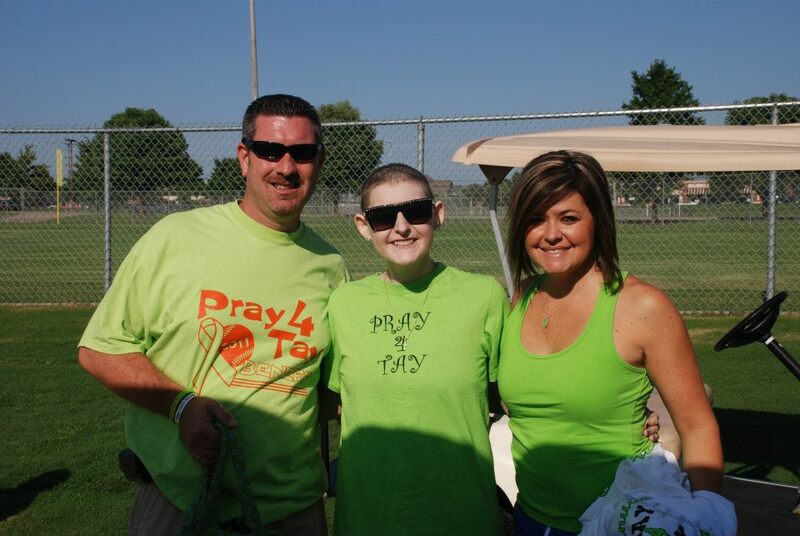 In Feb, 2012 Tay was discovered to have more than 23 tumors in and around her lungs, spine and heart! Tay holds the record of being the youngest patient ever diagnosed with Metastatic Renal Cell Carcinoma Papillary Type 2, which is most commonly diagnosed in age 50+ year old adults. Tay played her last inning her on earth on September 5, 2012. She left a large “bucket list” of things that she didn’t have time to accomplish in her quest to raise awareness for childhood cancer and help families that she expects her Warriors to Live 4 Tay and make happen, and we will, with your help, to TAY IT FORWARD! You think it will never happen to you – your child being diagnosed with cancer. Unfortunately, the numbers are higher than you would imagine. Cancer is the leading came of death in children.